Cats are odd creatures—it’s part of what makes them so loveable. Their adorable toe beans and little pink noses capture our hearts in a way that little else does. 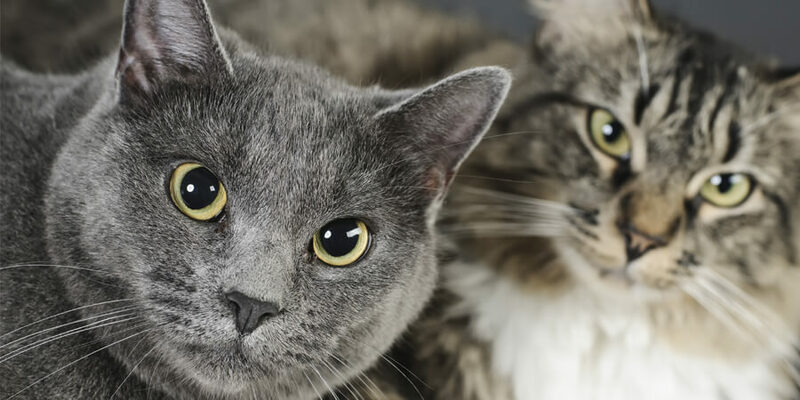 Did you know: There are over 200 breeds of cats, but only about 3-5% of domestic felines are purebreds. Some of those belong to pretty interesting and unique cat breeds you’ve probably never encountered. Don’t get us wrong, we love a good tabby or calico housecat as much as anyone—but these weird cat breeds are so fun to look at! From strange fur to cats with big ears, there are tons of interesting features that make these ten feline breeds especially unique. The Sphynx’s most distinctive features are its nearly hairless body, tall ears, wrinkles, peach-fuzz skin and round belly. Though you might think a hairless cat would be hypoallergenic, it’s not true! Cat allergies are caused by dander, and the Sphynx has plenty of that. The Sphynx’s hairless coat is caused by a naturally-occurring gene mutation that was then crossed with Rex cats. Peterbald cats are often thought of as mostly hairless, however, these cats have up to five different coat types including short or brush coats. Peterbald cats, and other hairless breeds, are known for having more pronounced webbing on their feet, which they’ve been known to use to pick things up or even open doors! The dachshund of cat breeds, Munchkin cats have been around for hundreds of years and are known for their shorter legs but otherwise standard build. However, it wasn’t until the mid-nineties that it was formally recognized as a breed. This breed has long been controversial due to the morality of continuing to breed the genetic mutation causing the long bone deformity. One of a few cat breeds with big ears, Devon Rex cats, along with the Cornish Rex cats they resemble, also have short, curly, soft hair. This breed was discovered in the 1950’s when a woman noticed one kitten in a litter of strays sporting the curly coat, prominent ears and tiny snout. These funny looking cats have huge personalities and love to socialize. This strange Japanese cat breed is born with a short, puffy tail like the tail of a rabbit. Some Japanese bobtails even hop like bunnies when they run! Their back legs tend to be slightly longer than the front, giving them an especially athletic appearance. This breed is said to have originated as far back as 600 A.D. when cats were brought with Buddhist monks from China and Korea to Japan. 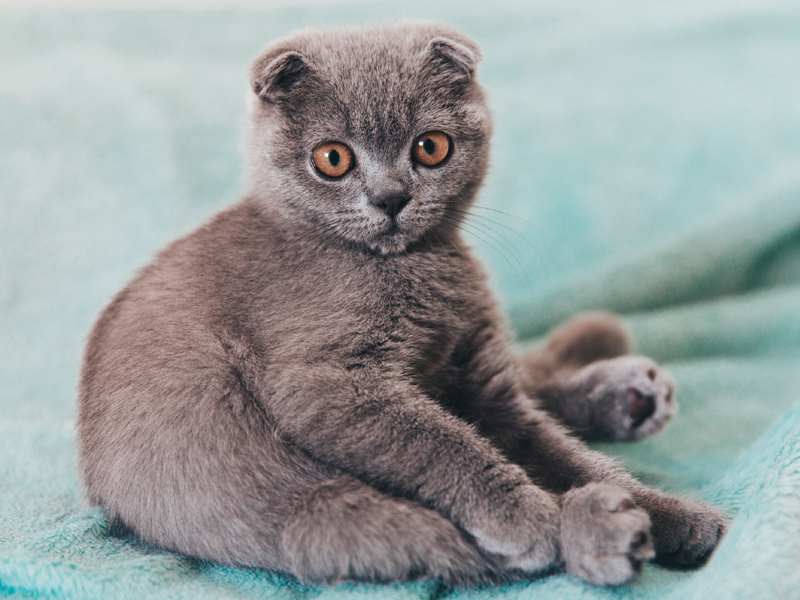 Scottish Fold cats have bended ears that make them look almost earless. With round, full faces, and large, circular eyes, this can give Scottish Folds an owlish look. The breed developed from a cat named Susie, from Scotland, who had folded ears when she was discovered by a shepherd in 1961. 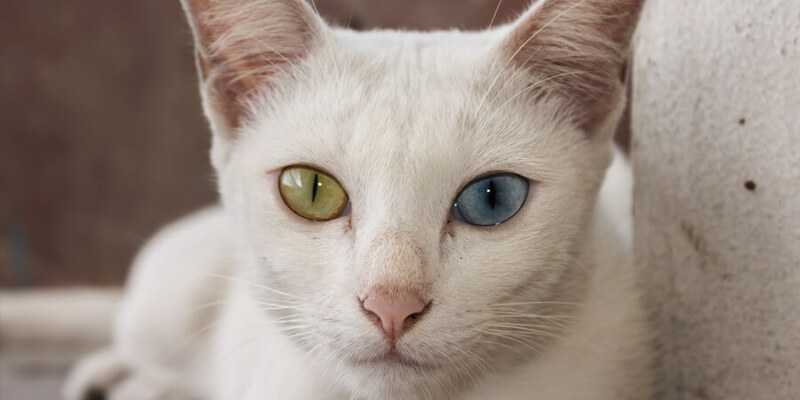 These cool looking cats come from Thailand, where their name means “White Gem.” These cats have been coveted for almost a thousand years, with creamy white coats and bright eyes of green, blue or gold—or odd (two different colors.) This breed has no undercoat due to the warm temperatures in Thailand. This breed resembles the wild bobcat, but in the size of a domestic cat. Founding breeder Carol Ann Brewer claims that Pixiebob cats come from a line of naturally occurring bobcat hybrids, but genetic evidence is inconclusive. Along with their distinctive bobbed tails, these cats are prone to polydactylism. The Savannah Cat looks like a wild cat from the African Savannah—and that’s half true. It’s the result of a cross between a domestic cat and the serval, a medium-sized wild African cat. Savannah cats are exceptionally large, typically weighing up to 30 pounds and ranking as the world’s tallest domestic cat breed. This cat breed also boasts exceptionally large ears, dark tear stands and cheetah-like markings. Technically, the Teacup Persian isn’t a strange cat breed of its own—it’s a variety of Persian cat that’s been bred to be extremely small. Some are so tiny they can fit in the palm of your hand! However, this breed faces a lot of controversy due to the health problems that can occur when intentionally breeding cats to be small. Whether our cats are big-eared, curly-haired or dichromatic – we love them all the same. Regardless of what weird cat breed your fur baby is, there’s a World’s Best Cat Litter™ formula that’s just right for you. Learn more about which litter is the right formula for your household. SHOULD I GET A LONG-HAIRED CAT, SHORT-HAIRED CAT, OR HAIRLESS CAT? One of the best things about cats? They’re good at keeping themselves clean. Every once in a while, though, your cat may get into a messy situation that requires a little extra help. 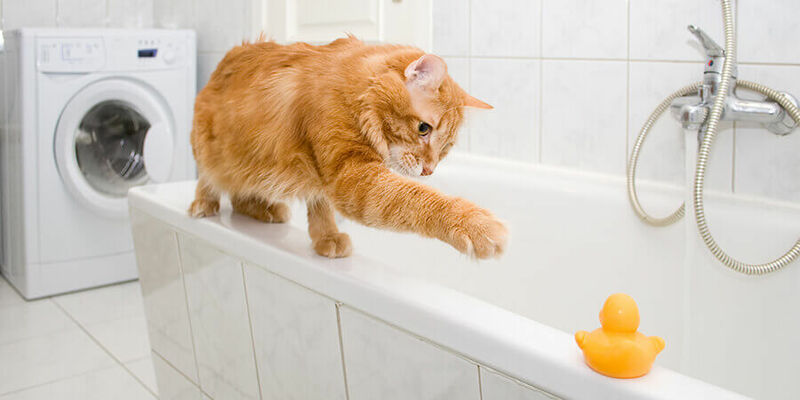 Follow our guide to learn how (and when) to give a cat a bath. MEET US AT “MEET THE BREEDS” IN NYC THIS WEEKEND!